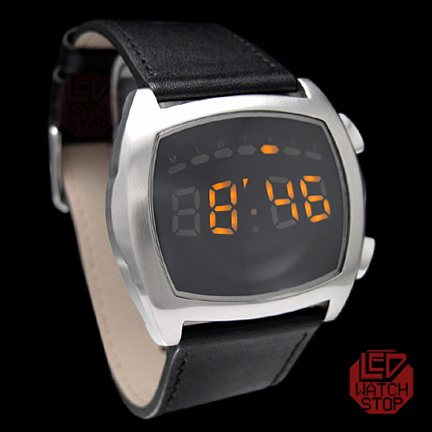 Comes in 4 seperate color styles - Light Brown, Black, White and Dark Brown. 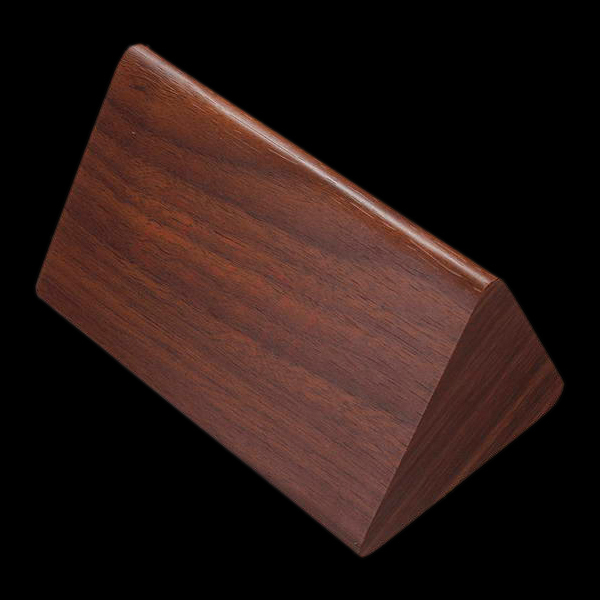 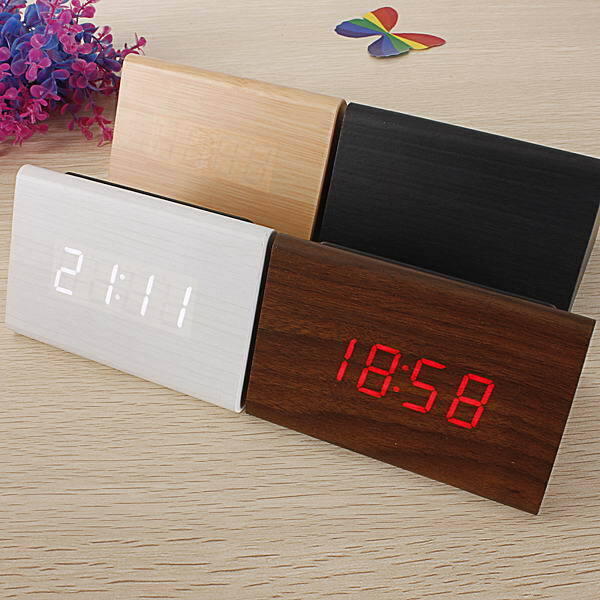 When purchasing this product, leave a comment about your order specifying which color it is that you want. 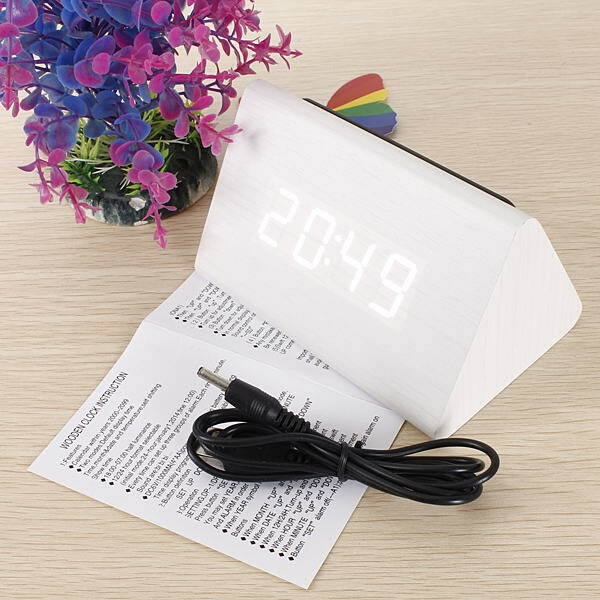 A cool composite panel box LED alarm clock that features the time and room temperature via a built in thermometer. 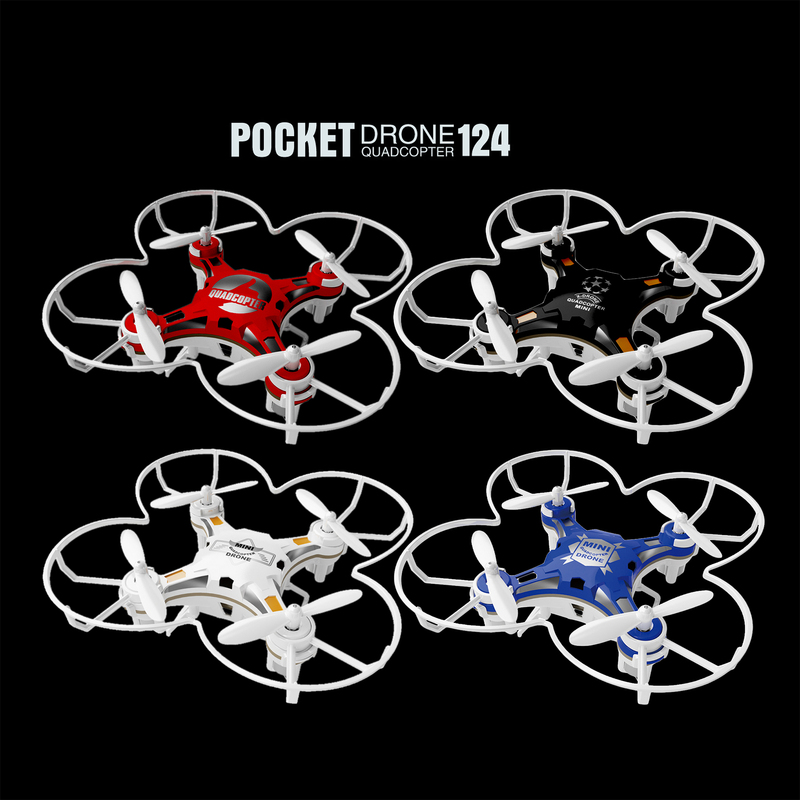 It incorporates a sound activation technology and you can choose between 12/24h modes! 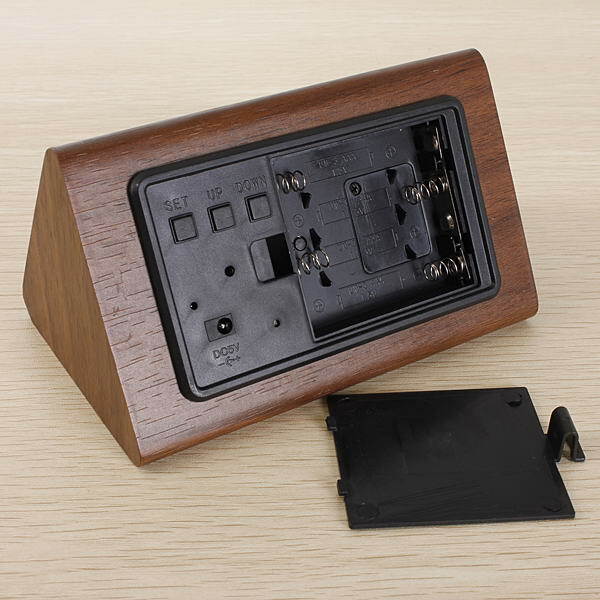 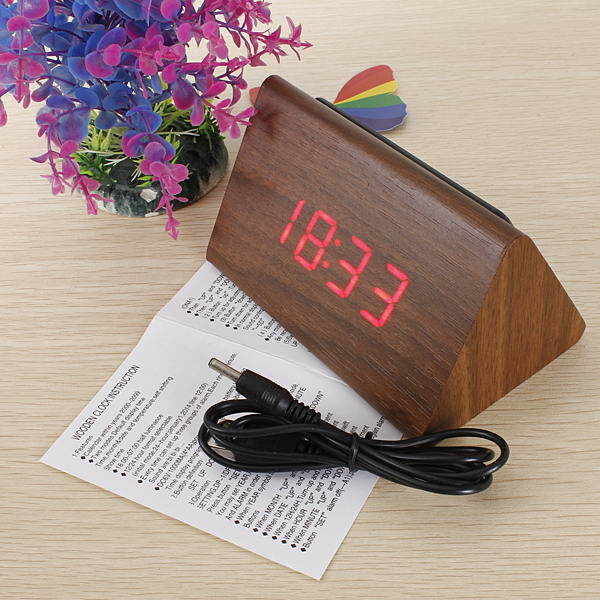 It is battery or USB powered and comes complete with its own USB cable and instruction manual. 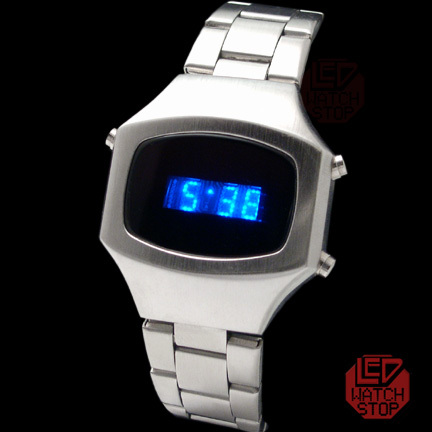 It also boasts three seperate alarm settings for your convenience. 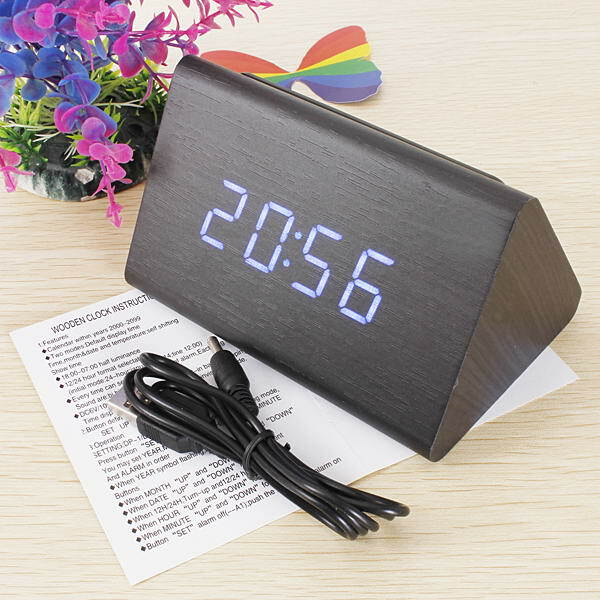 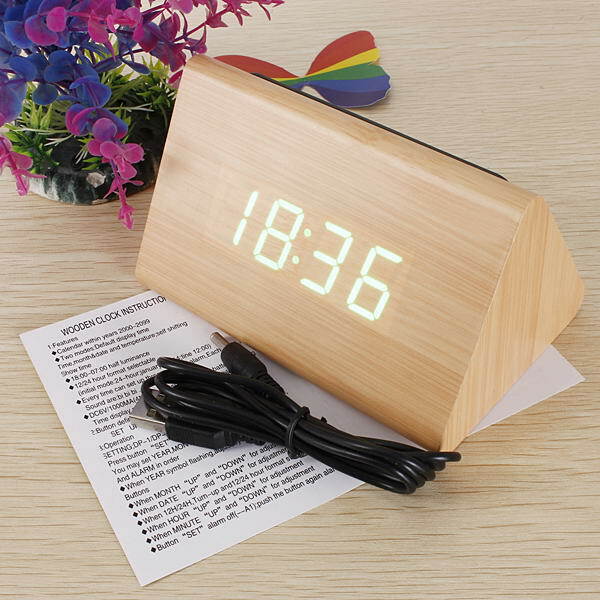 Consider this unique digital LED clock for yourself or purchase it for somebody special!